Connections with Brighton and Hove : Robert Young met Primal Scream singer Bobby Gillespie, when they were both studying at Kings Park Secondary School in Glasgow, and he joined the band in 1984. Young was originally the bass player. After the release of Sonic Flower Groove, their debut album, and the departure of their guitarist Jim Beattie, Young took over that role. The band Primal Scream moved down to Brighton from Scotland in the 1980's. 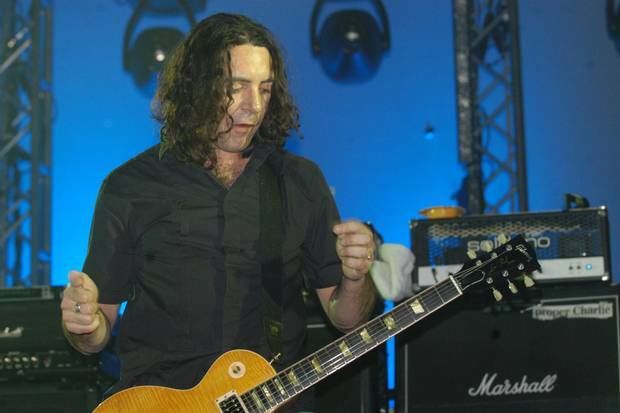 As a member of Primal Scream, Young performed on all of the group's records up to 2006's Riot City Blues, and including their most famous album, Screamadelica. He was the bass player on Felt's 1989 album Me and a Monkey on the Moon. In 2006, Young left Primal Scream, and according to Gillespie this was to deal with "problems in his personal life". Young was married twice. He had two sons, Brandon and Miles, with his first wife Jane. At the time of his death, he was married to his second wife, Rachel. Young was found dead in his flat in Hove, East Sussex on the afternoon of 9 September 2014. At the time of his death, Young was 49 years old. In a widely-quoted eulogy, Johnny Marr wrote, "Throb with a gold top Les Paul – unbeatable. He was a true rock and roller. He walked the walk. He had 'Heart & Soul' tattooed on his arm and I'm sure on his heart too. He once said to me, 'When we go onstage, it's a war between us and the audience.' He never let go of that attitude. 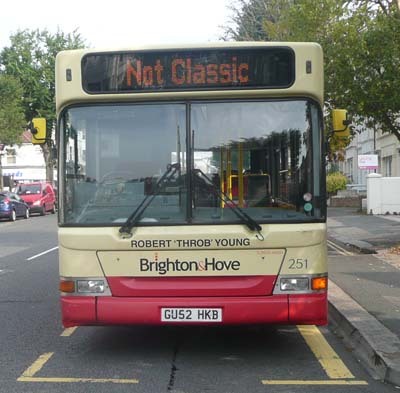 251 Dennis Dart carried name since 23 September 2014. 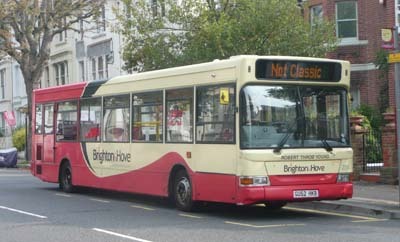 Bus sold in March 2015.